Makeup is an art that has been perfected over the course of time. Makeup started simple and rather rudimentary and can be traced back to ancient Egypt and Sumer. However, a lot has changed since then. Today makeup and cosmetics have been perfected in more ways than and this not only pertains to the quality and variety of makeup but also the process of makeup application. The process of makeup application itself is varied as the intention is to create different facial aesthetics. Makeup artists are always coming up with new ways for effective makeup application and airbrush makeup application is one such new way. Owing to the quickly growing popularity of airbrush makeup alongside the fact that it is a rather new concept; many have been asking the question “What is Airbrush Makeup”? This blog aims to provide all the relevant information pertaining to airbrush makeup. Read further to have all your questions answered. In recent times; makeup has been mostly applied by the fingers or by means of special makeup brushes, and sponges. Airbrush makeup is a unique concept owing to the fact that it is sprayed onto the skin. Airbrush makeup is applied by means of an airbrush which comprises of 3 primary components; a compressor that results in a uniform and controlled flow of air, a vent or a hose which is connected to a gun like a trigger. The device is often adjusted to change the air pressure for makeup applications of varying kinds. 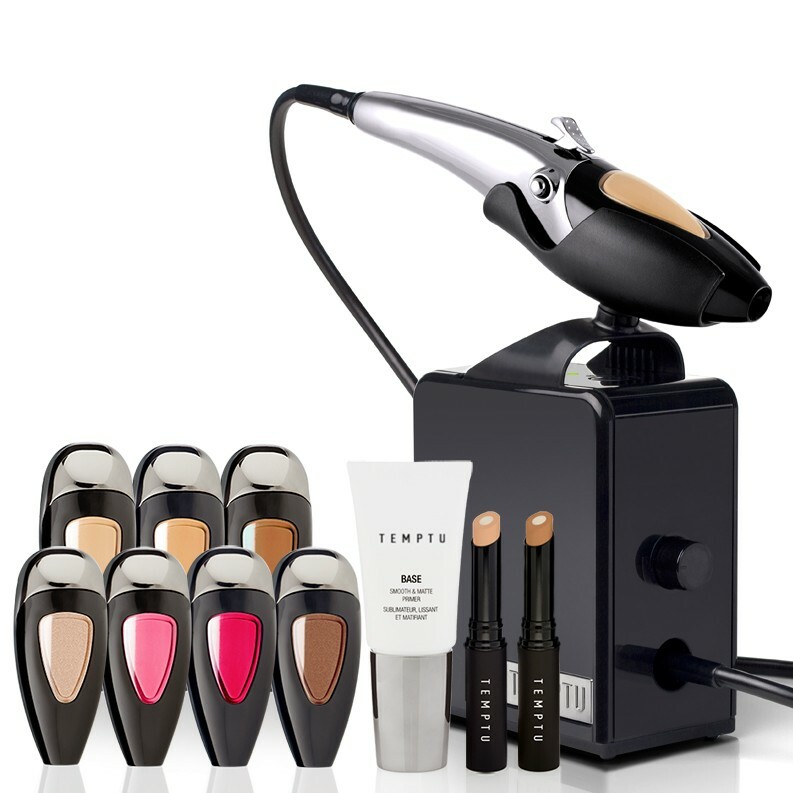 This device can generally handle broader, detailed, heavier or lighter makeup application techniques. It is important to note that the popularity of airbrush makeup was initially limited to the entertainment business. Airbrush makeup was first used in the movie Ben Hur in 1959 however it is still a rather new concept for special occasion makeup application such as wedding makeup. Having made this point; it is important to note that airbrush makeup is growing in popularity among brides on their wedding day. 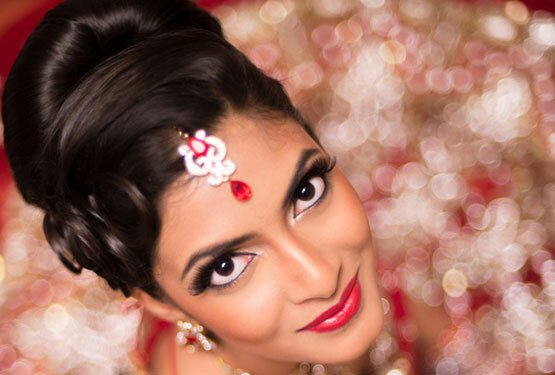 This method of makeup application is increasingly being used to create exquisite bridal looks. 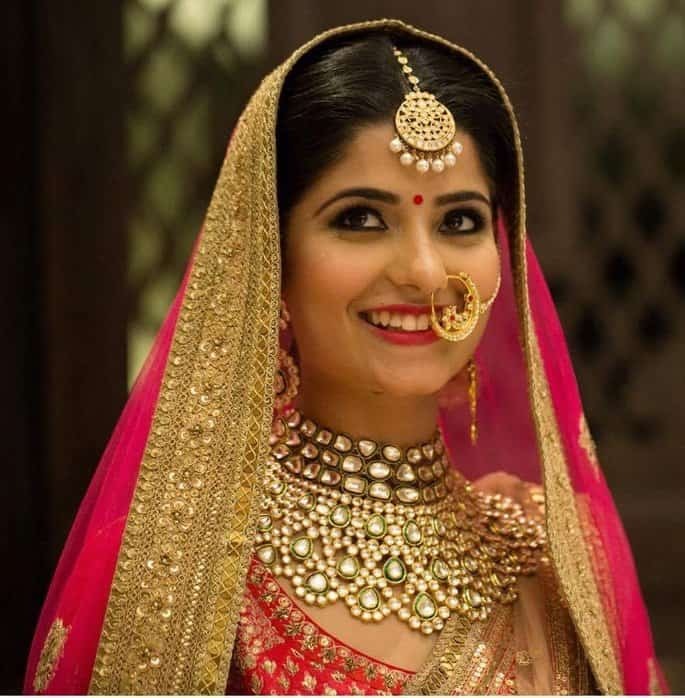 Read further to know more about airbrush bridal makeup including pictorial illustrations of different examples of airbrush makeup for wedding. 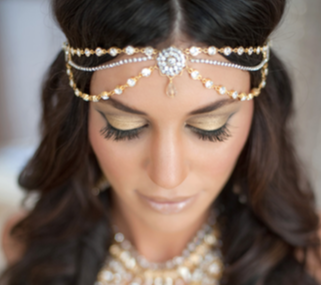 Bridal airbrush makeup is trending in a big way as mentioned before. This is primarily due to the airbrush makeup benefits that are more than just one. Some of these benefits are as listed below. Watch the below video to know the benefits of airbrush makeup. Traditional makeup can have a heavy and put on look whereas airbrush makeup is perfect for the bride that wishes to look natural; with an even skin tone on her wedding day. Even as airbrush makeup is sprayed onto the skin; these millions of droplets of makeup formula tightly bond with the surface of the skin. Unlike traditional makeup that ultimately settles on the surface of the skin resulting in the heightened appearance of open pores and wrinkles; Airbrush bridal makeup results in a uniform and even skin tone. Additionally; makeup application errors are more commonplace when makeup is applied with the help of sponges or brushes; airbrush makeup mostly negates the chances of uneven makeup application. Airbrush makeup for weddings almost always results in finer aesthetics. As mentioned before the airbrush or device that is used to spray makeup onto the surface of the skin can be easily adjusted to create broader or finer makeup strokes, it can also be easily adapted for lighter or heavier application and as such airbrush bridal makeup almost always results in finer aesthetics. Airbrush make up can be effectively used to highlight the eyes, lips and cheekbones in the form of eye shadow, lip colours and blush. Additionally; airbrush makeup can be highlighted, layered, shaded and contoured; just like traditional makeup. Almost all weddings are captured on a video camera and we live in a world of multiple megapixel and HD cameras that hone in on the smallest details of an image. Traditional makeup which settles on the skin with time; exacerbates the appearance of the finest wrinkles and open pores which is then magnified through the lens of a new age video camera while airbrush makeup looks smooth, even and yet natural; even on video. It is easy to see that one of the benefits of airbrush makeup is that a bride looks good on her wedding day and in her wedding videos and pictures. 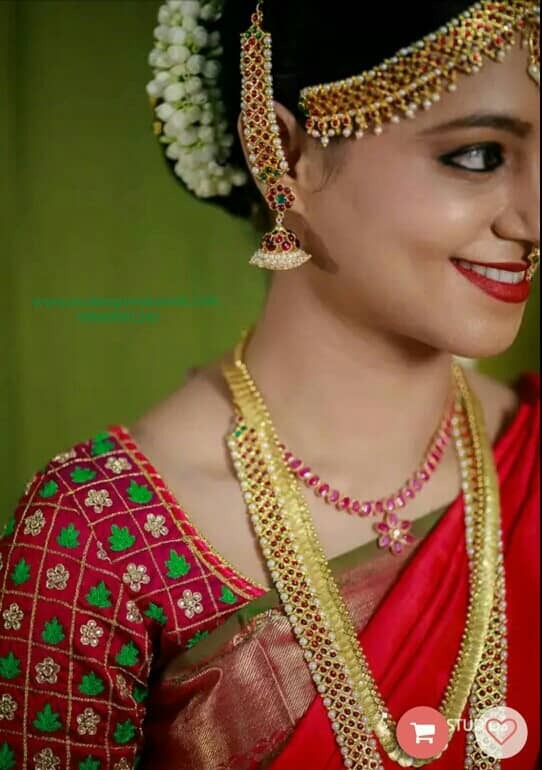 It is no secret that the average Indian wedding is a long drawn out affair which is never good news for the bride caked in traditional makeup that seems to degrade with time. In such circumstances; bridal airbrush makeup seems like the logical idea as it stays on for 12 to 24 hours depending on various factors. 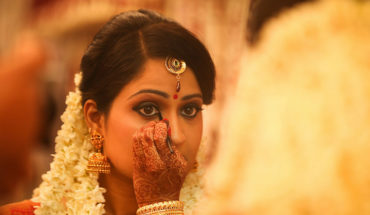 Makeup that stays on longer is always welcome bearing in mind that an Indian wedding is a long process with various rituals and customs for the bride to carry out to perfection and look like a million bucks while at it. The application technique of airbrush makeup is uniquely ‘globular’; this results in a fine mist like dispersal of makeup on the skin. This proper dispersal of makeup on the surface of the skin results in an even, natural and a light layer of makeup that is barely noticeable. Different airbrush makeup formulas can easily create different looks just like traditional makeup. 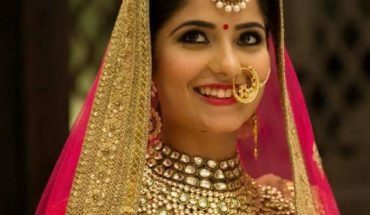 Waterproof airbrush makeup is almost always more effective than traditional waterproof makeup and works better for Indian brides in the warm and humid Indian climate. Application of airbrush makeup is often considered more sanitary as the artist’s hands do not come in contact with the wearers face. How to Do Airbrush Makeup? Many amateur makeup artists and hobbyists find themselves asking the question “How to do Airbrush Makeup”. The answer is simple and complicated all at once. It does take a lot of practice to perfect airbrush makeup application and the right airbrush makeup tools are compulsory. Once you have the right tools or in other words the airbrush makeup kit; you can take necessary steps to perfect this technique. The compulsory airbrush makeup kit consists of a mini-compressor, an airbrush gun, cleaning brushes, hose pipe and a wench. One can easily buy these kits online and they are often certified for quality and come with a warrantee period of one year. You do need to have a basic understanding of makeup on the whole even if you have been limited to working with traditional makeup; to perfect the skills of airbrush makeup application. The primary characteristic of airbrush makeup is a freehand technique alongside adjusting air pressure and distance of the airbrush from the skin to create different makeup effects. Plenty of YouTube videos and other online sources can be of great help when picking up the basics of airbrush makeup applications. Fortunately, this skill can be self-taught and perfected with practice and time. The airbrush kit is not the only set of tools you will be working with when learning airbrush makeup applications. The makeup formulas of different kinds and the measures of each that you have to use to create different makeup effects; is something you need to acquire further knowledge about. Once again; online sources can come to the rescue. 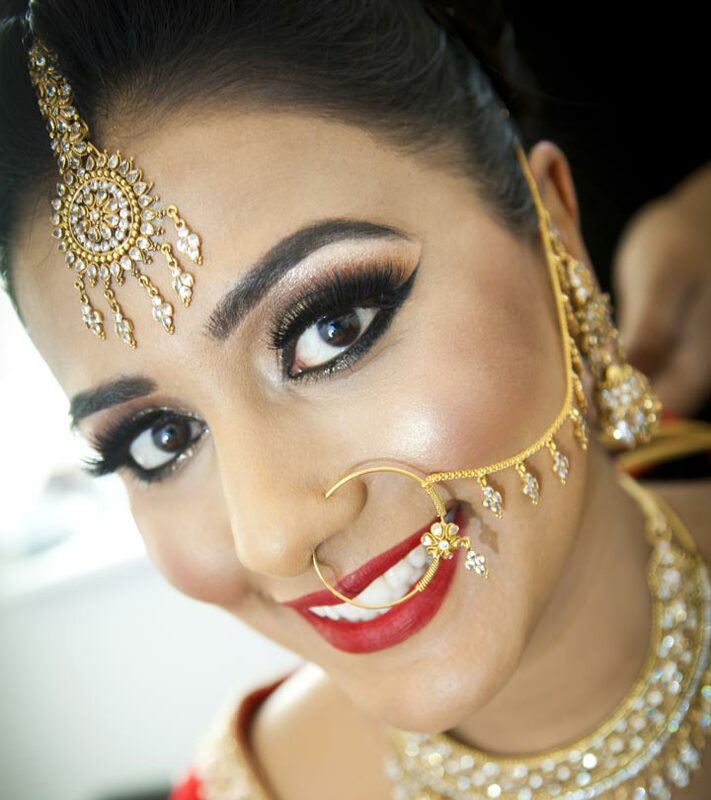 In conclusion; it is safe to say that airbrush makeup is a nifty and trendy makeup solution for Indian brides and the long drawn out big fat Indian wedding. Additionally; learning airbrush makeup and perfecting the skill is all about having the right tools, seeking out online tutorials and lots of practice.